Crunchy Topped Mac & Cheese Dogs - What the Forks for Dinner? 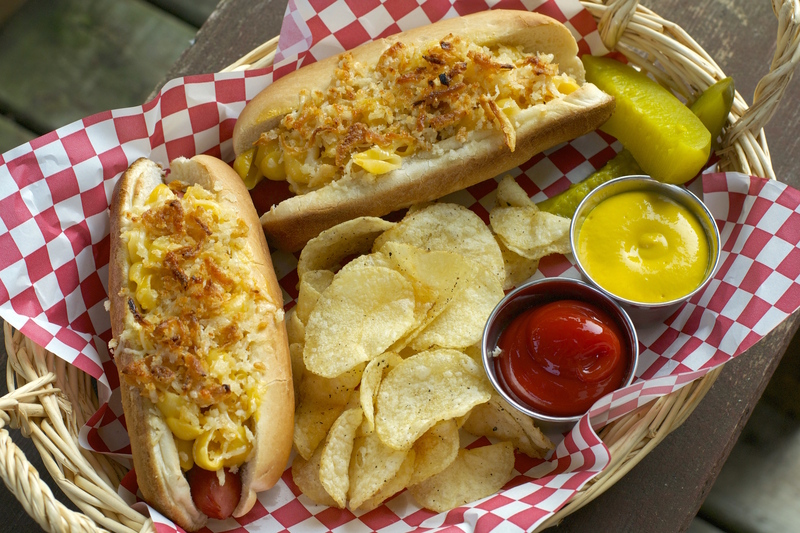 Remember when you were a kid and the best meal in the world was macaroni and cheese with hot dogs? Toss the dogs in with the macaroni………no need to dirty extra pans. 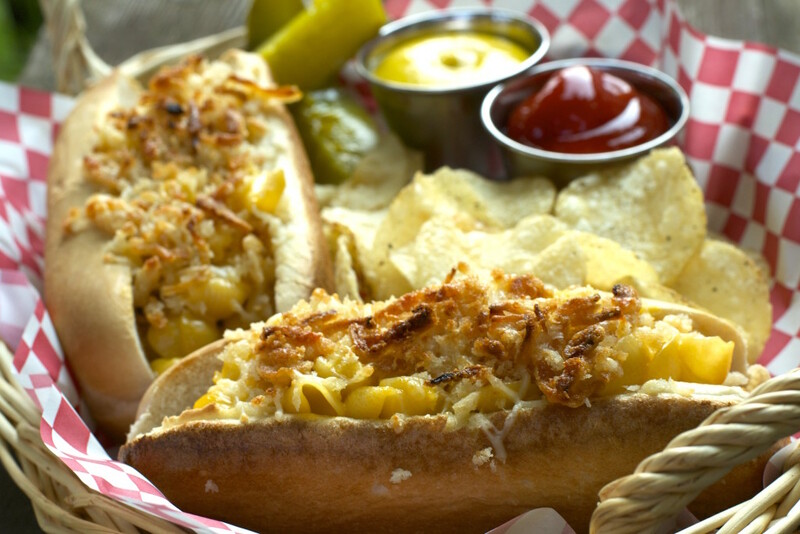 Take the dogs out and finish the mac and cheese. Make the topping, Durkee Fried Onions, panko crumbs, parmesan cheese, and butter. Mix it up and set aside. 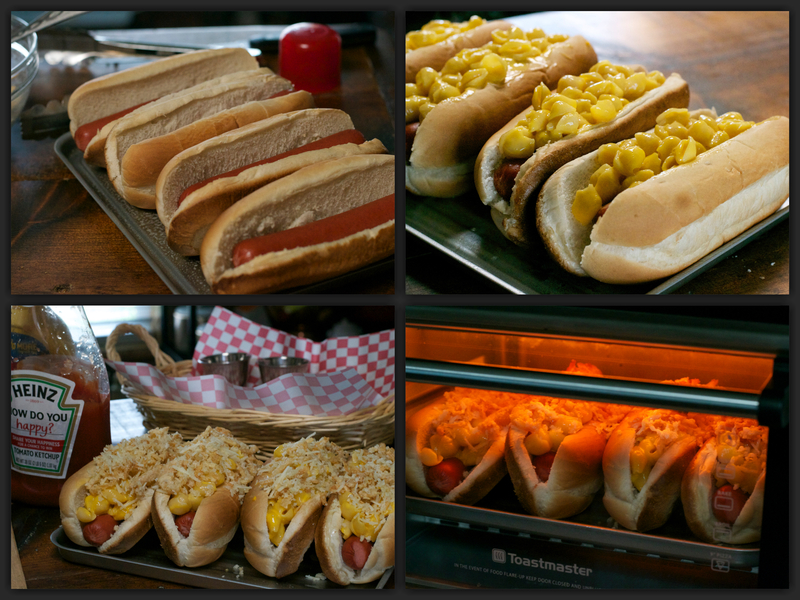 Place hot dog buns on cookie sheet……I used my toaster oven, no need to heat up the whole kitchen. 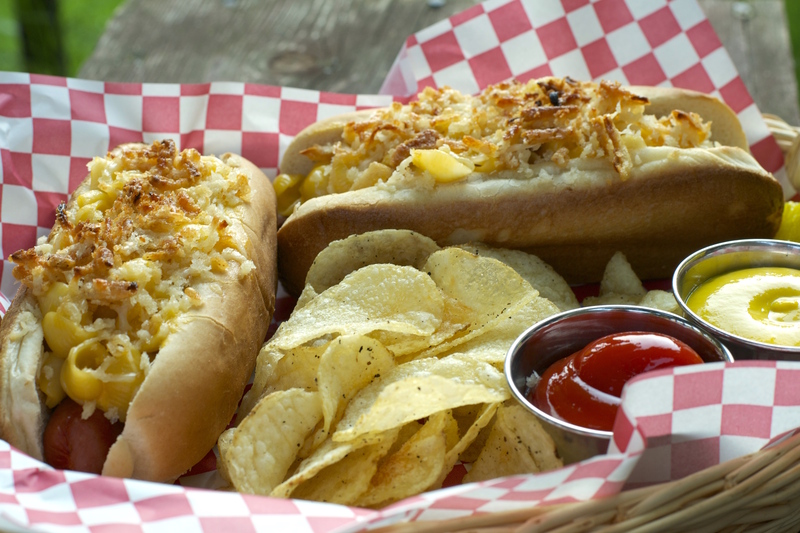 In each bun, place a dog, mac and cheese, and topping….in that order. Broil for about 2 minutes until topping is golden. Adult Crunchy Topped Mac & Cheese Dogs! The fried onions really gave the topping a tasty, crunchy, little, somethin, somethin. Here is another fun part….dip it in ketchup, that’s right ketchup. I have always loved ketchup on mac and cheese…..we used to fry mac and cheese when we were kids with bologna, and dip it in ketchup. Tim always thought I was a little koo-koo…….until today when he tried it…..and liked it!!!! While we were eating ,Tim mentioned that he thought this was a fun meal……and he was right. Served with some chips, the ketchup, mustard if your taste leans that way, and a pickle. 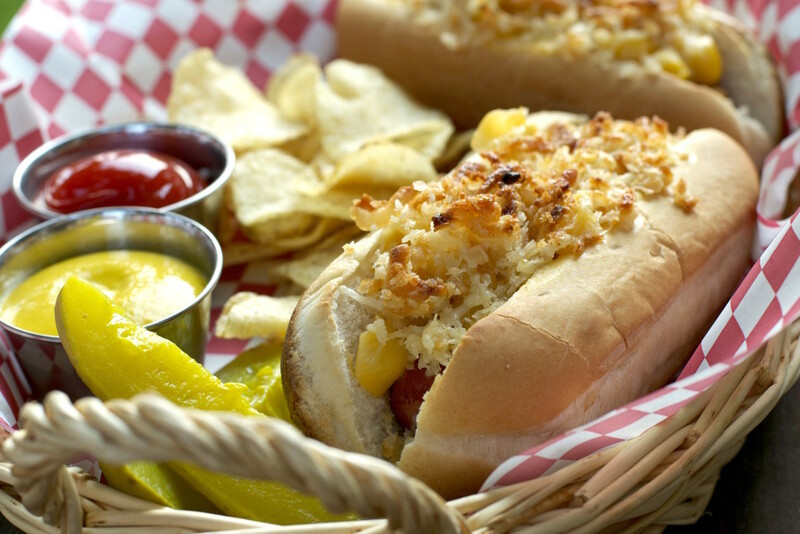 Brings back childhood memories……..
An adult fun meal ………..Crunchy Topped Mac & Cheese Dogs! Cook mac and cheese according to the package directions, adding the hot dogs during the last few minutes. 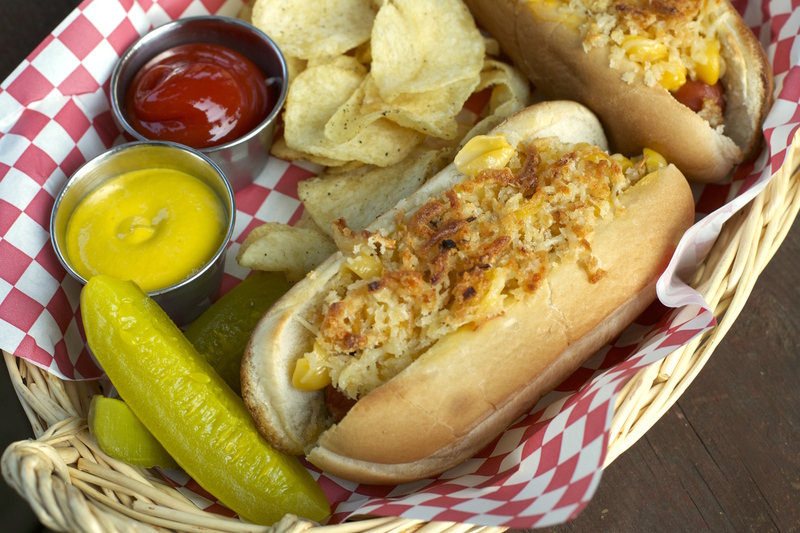 Remove hot dogs and finish mac and cheese. Meanwhile, combine drupe onions, panko crumbs, parmesan cheese, and butter, toss to combine. Set aside. Set oven to broil. Broil topped dogs until topping is golden brown. You will have leftover mac & cheese and topping. Use to make a side dish casserole.